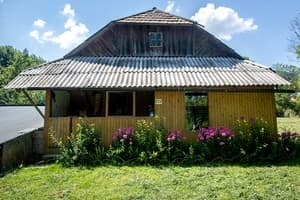 The private estate "Dacha" is located in Podobovets, at the foot of the Borzhava ridge and the Great Verkh Mountain. 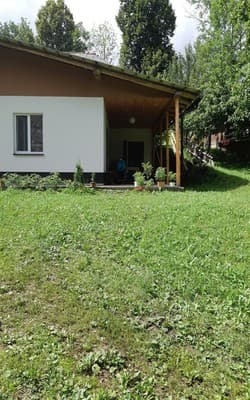 At 50 m from the manor there is a rope tow and a small educational lift in 400 m. There are 3 rooms for accommodating guests. Two bedrooms in the house and one in the new building. The house has a common kitchen for self-cooking and a bathroom with shower. In the new building there is a 3-bed room and a bathroom with a bath. The room is equipped with a double bed and a sofa with an orthopedic mattress, flat screen TV. There is no kitchen in the new building, but there is an electric stove, a kettle and a refrigerator for cooking. Nearby there is a cafe where you can order food. In the yard there is a parking place for the car. 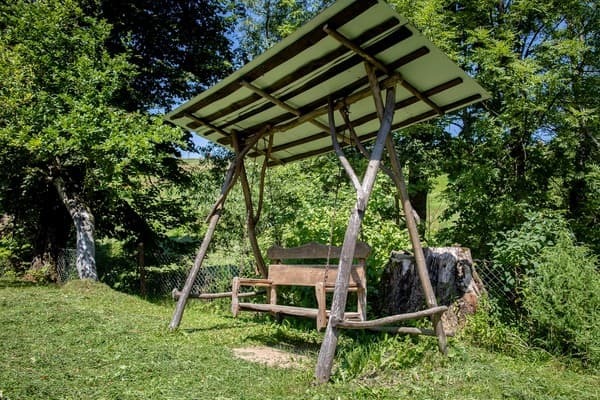 The estate has free Wi-Fi throughout. Also in the yard there is a gazebo with a barbecue, a swing and a bar. The distance from the private manor "Dacha" to the railway station in Volovets is 12 km. 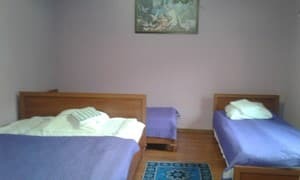 Описание номера: The room has one double bed and two single beds. Rates are based on double occupancy, 2 extra beds for a fee. Description of the room: The room is equipped with one double bed and two single beds. The price is indicated for double occupancy, possibly 2 extra beds for a fee. 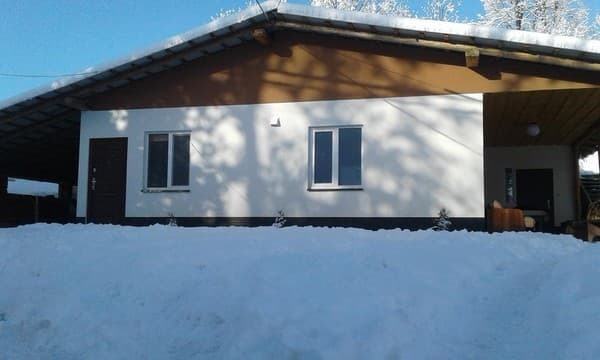 Описание номера: Spacious room in a new building equipped with a double bed and a sofa. The price is indicated for double occupancy, possibly 1 extra bed for a fee. 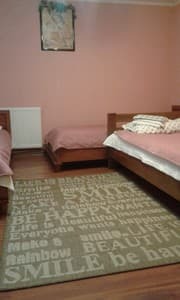 Описание номера: Room "Suite" - for a family of 4 people with a separate entrance. The room has a double bed and two single beds. 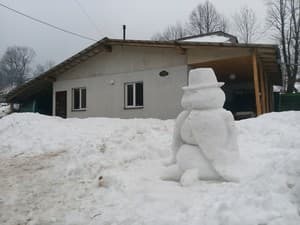 Its own kitchen, bathroom and hallway, in winter there is a warm floor. 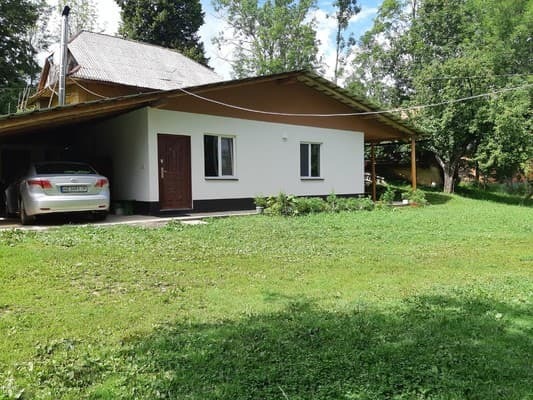 Описание номера: A house with two rooms, for one large or two families, a large company for 6-8 people is possible. The house has all the conditions, a kitchen, a toilet and a shower. There is a gazebo and barbecue facilities in the courtyard. Check arrival: from 09:00 - 10:00 hours. Check leaving: to 20:00 - 21:00 hours. Discounts for children under 14 years old. Extra beds on request. The house has a communal kitchen for self cooking. There is no kitchen in the new building, but there is an electric stove, a kettle and a refrigerator for cooking. Nearby there is a cafe where you can order food. 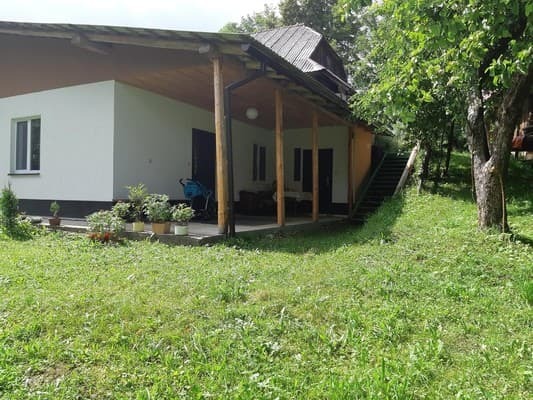 The private estate "Dacha" is located in Podobovets, at the foot of the Borzhava ridge and the Great Verkh Mountain. 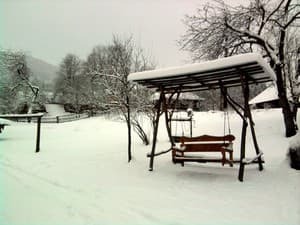 At 50 m from the manor there is a rope tow and a small educational lift in 400 m. The distance from the private manor "Dacha" to the railway station in Volovtsa is 12 km. By motor transport: to enter Transcarpathia along the Kiev-Lvov-Chop highway (M06 / E50); In the village of Nizhnie Vorota turn left to Volovets. In Volovets on the ring turn left and continue to the village of Podobovets (another 12 km). By rail: by train from Uzhgorod direction, get to Volovets station. From the station you can get by buses or by taxi, which are often on duty near the station.